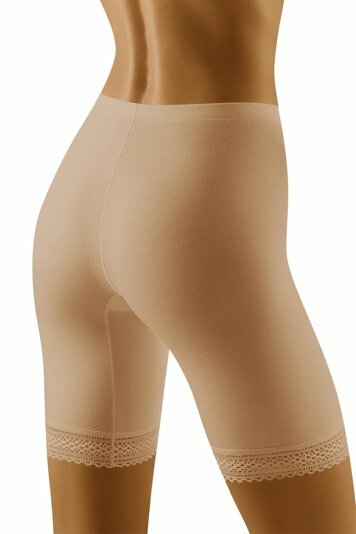 Comfortable ladies bermuda briefs-shorts made of smooth fabric. Finished with lace. Composition: 95% micromodal, 5% elastane.